Some people asking how can I open a ticket, It doesn’t require any experience but life is short and we don’t like to waste a minute searching or guessing for this minor things. That why we write this tiny tutorial. First you have to get register an account on our website to follow up your ticket status and reply when ever you want, also getting notification when you got a response. Fill in the registration form and register. 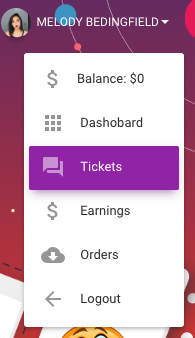 Now, You already have an account, and logged in, it’s time to create the ticket. We hope you enjoy our support system and get a satisfied and happy from our services.